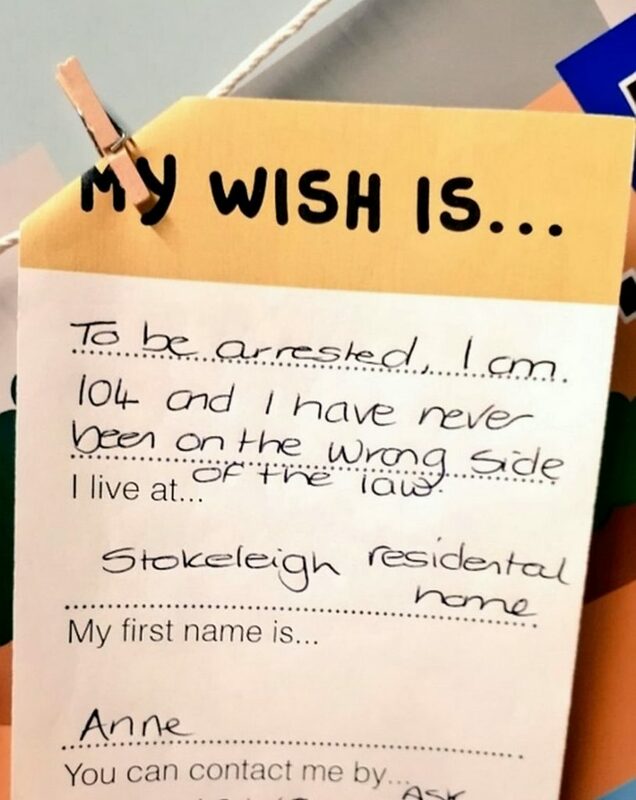 The care home wanted to grant lifelong wishes to its inmates, and most of the intentions were reasonably achievable. Some wished to ride a Rolls Royce, or visit the motorcycle club, to have hand massage or a conversation. Anne Brokenbrow is 104 years old and has made a wish that took everyone to astonishment. She requested to get arrested, and according to her, she was 104, and she has never violated the laws and been behind bars. 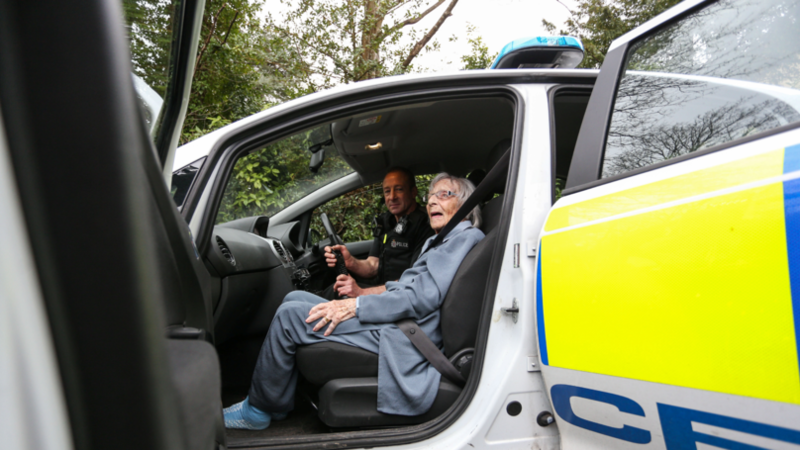 The local team of PCSO stepped in to make her wish granted. Anne was a secretary in her earlier life, and she got arrested by the team on the charges of being an upright citizen. She was moved to custody with immediate effects. Anne later explained her experience of being handcuffed as one of the most exciting and lovely ones. She also added that it did not feel like an offender or a criminal, but she had to take care of her words and appreciated the behavior of the police throughout. Anne is a patient of dementia and gets regularly visited by her granddaughter Sasha whom she reared up. She further added that she has been in touch with her other grandchildren as well. Anne is a resident of Bristol care home that comes under a scheme that invites people to come forward in the help of the elderly. The Wishing Washing Line project is an amalgamation with a local Co-op store so that the local shoppers come with the “wishes” to the residents of the home. The initial launch was done in Essex where it helped a lot of older adults. According to Simon Bernstein, their charity provided the older people with substantial creative activities and to instigate the people to come to care homes.” He is the man behind the scheme and CEO for Alive Activities. He also added that staying at care homes can be boring at times if the care staff is unable to engage the residents in significant activities. An activity can be anything like going to the pub, or playing cards, or just simple conversations. Not that every wish can be granted, but most of them can be. One wished to meet Elvis, but then it was too late for that.